Locavores enjoy sampling the local, authentic cuisine of other regions. 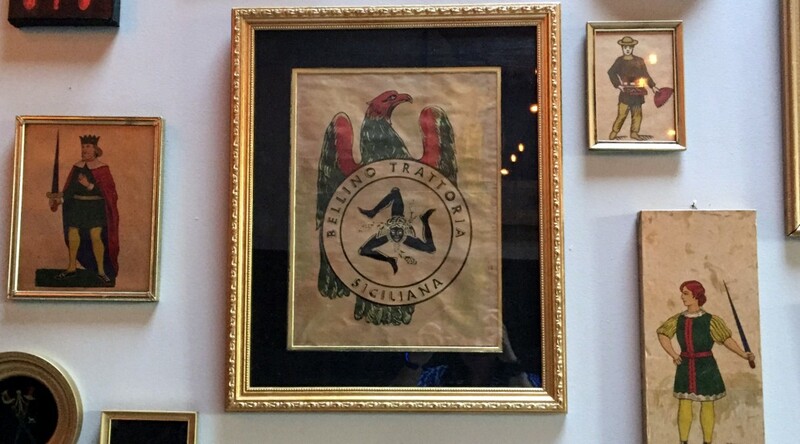 Bellino Trattoria Siciliana opened just weeks ago in the Pearl District. 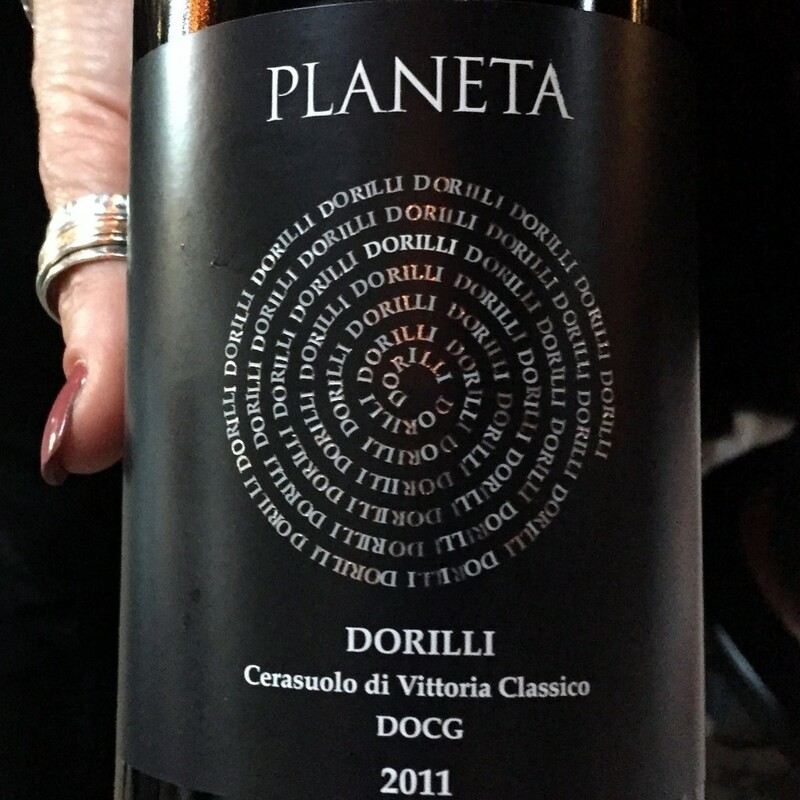 I had the chance to join in one of their wine dinners, pairing Sicilian wines from Planeta Winery with Sicilian dishes. 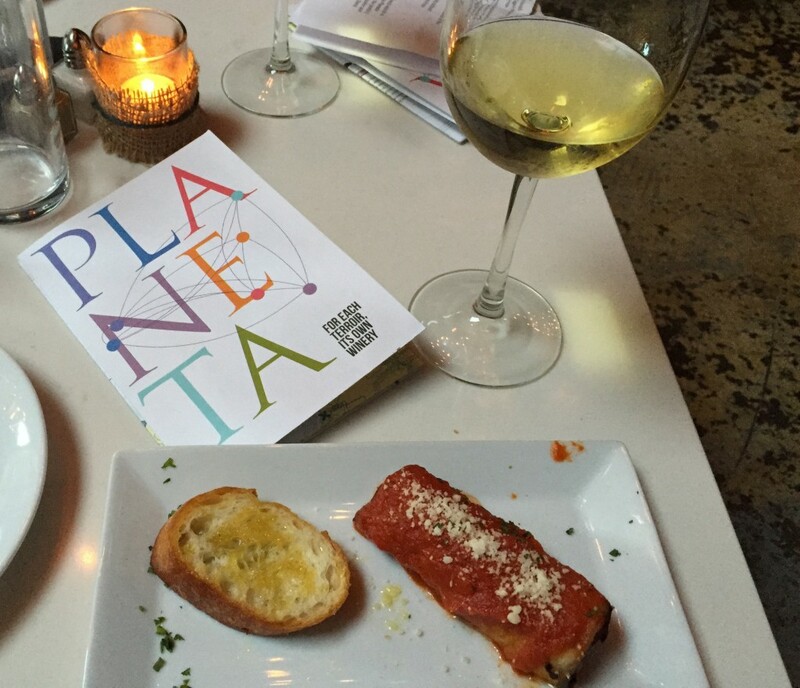 Baked Eggplant Roll and Planeta La Segreta Bianco from Menfi. Executive Chef Francesco Inguaggiato is from Palermo, Sicily, where he learned his craft in his family’s trattoria. With two successful restaurants in Texas, he has brought his skills to Portland. He sources both locally in the Northwest as well as authentic Mediterranean fish, seafood and olive oil. He sources from Corfini Gourmet, which specializes in local, sustainable and natural meat, and Newman’s Fish Company. Penny Murray from Planeta Winery discussed the origin of each wine. They have wines from six regions of Sicily. It was my first introduction to Sicilian wine. The antipasti course was paired with 2013 Planeta La Segreta Bianco from the Menfi region. It’s a blend of ancient Grecian Grecanico, Chardonnay, Viognier and Fiano. It is a refreshing and amazingly balanced white. The antipasti began with Involtini di Melanzana – baked eggplant rolls. That was great and whetted our appetites for more. 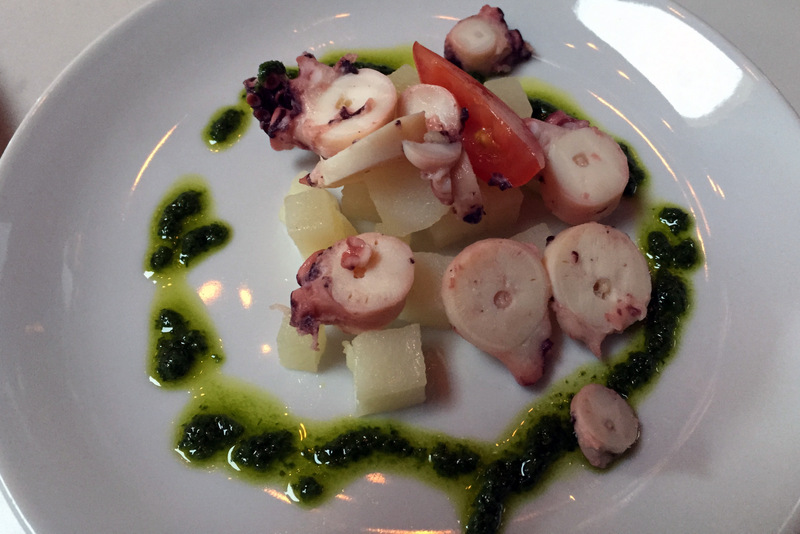 I loved the octopus with diced potatoes and parsley oil that came next. The octopus was tender and perfectly seasoned. Chef Francesco said it was critical to get Spanish octopus and cook it exactly. This was a big success. 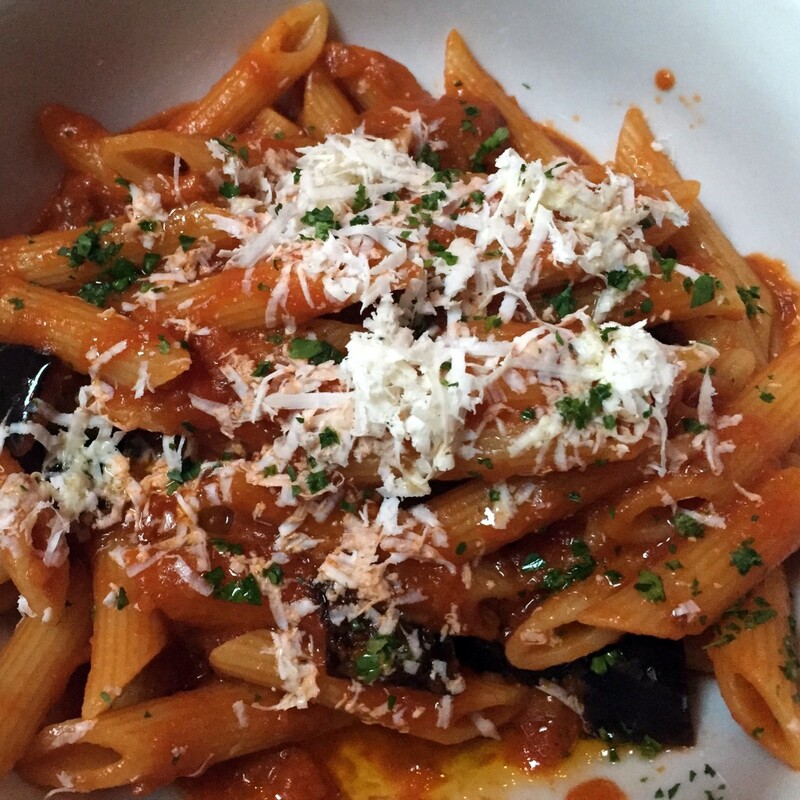 The Primi course was a satisfying bowl of Pasta Norma – penne with eggplant and salted ricotta. It was paired with 2011 Dorilli Cerasuolo Classico from Vittoria. The name means “cherry red” for the soils in the region, but also the cherry and strawberry notes. It is 70% Nero d’Avola, 30% Frappato. I was happy with it from the first taste. 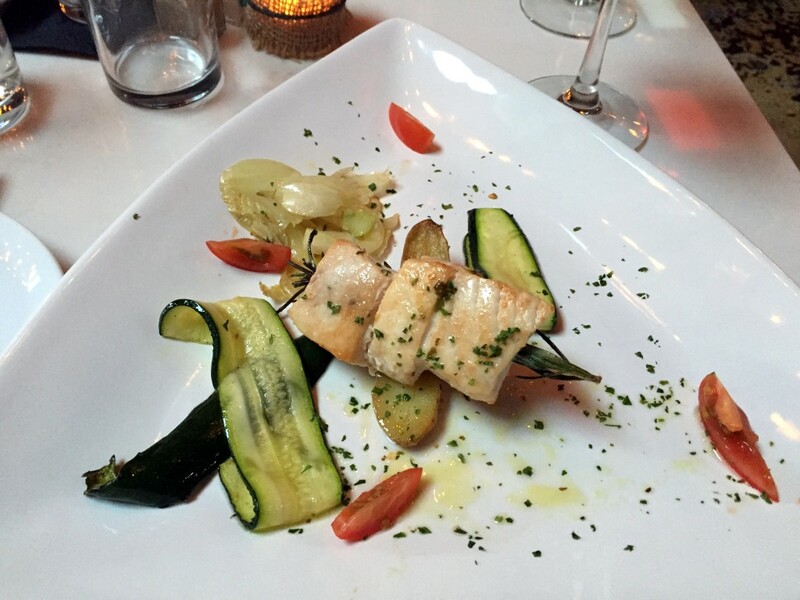 The Secondi course was Spiedini di Pesce Spada – swordfish impaled on rosemary, surrounded by summer squash and other vegetables. The dish was beautiful and deceptively simple – perfectly prepared and seasoned swordfish. 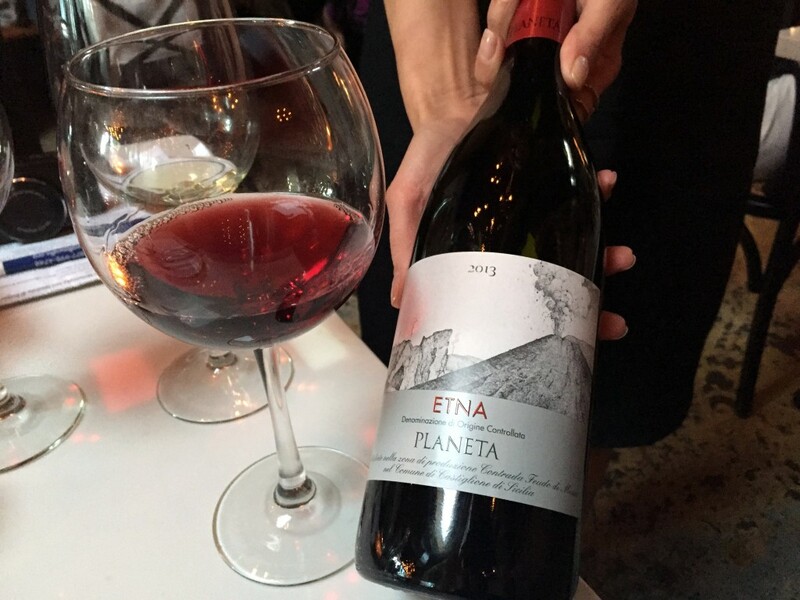 I loved the 2013 Planeta Etna Rosso, it was surprisingly similar to an excellent Oregon Pinot Noir. The grape is Nerello Mascalese, grown on the slopes near the famous volcano. 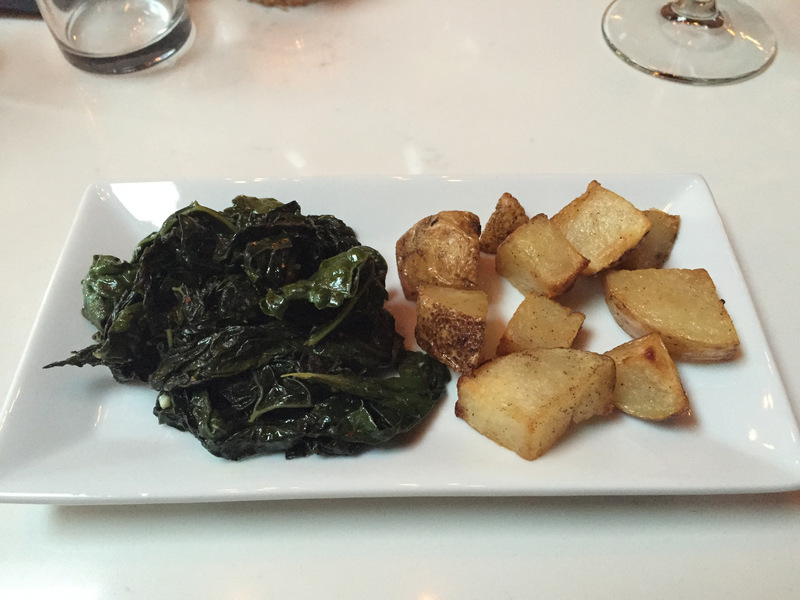 We segued to a Contorni of roasted potatoes and kale. 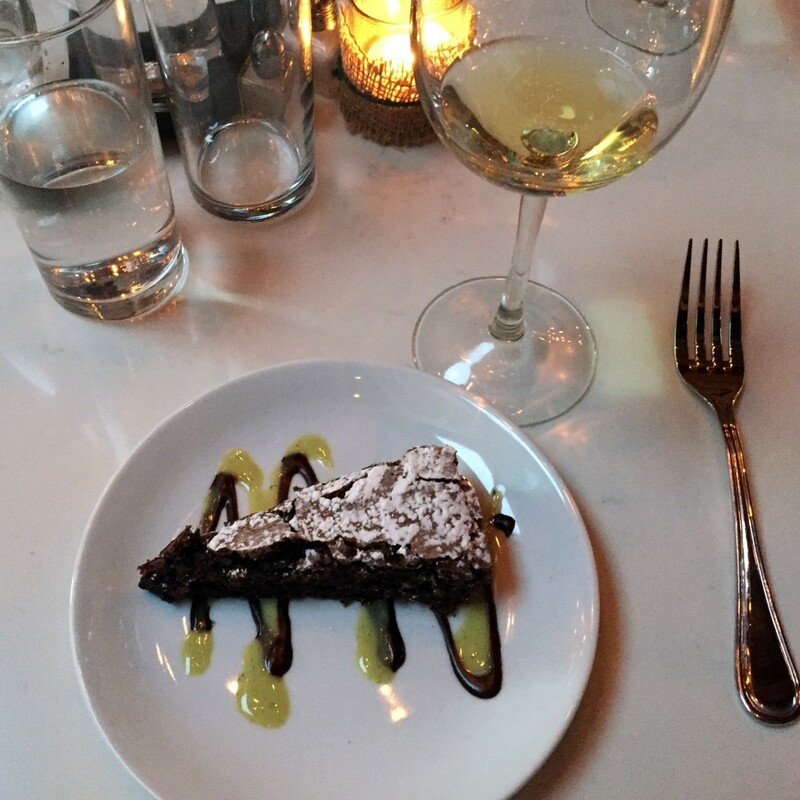 Now to Dolce – Torte di ciocollato i menta, a chocolate and mint torte. It was served with a sweet 2010 Planeta Passito di Noto, made with moscato bianco, from the Buonivini region. The evening was very satisfying. The wine rep, Penny Murray and Chef mingled at each table to answer questions and discuss the wine and food. That’s an important part of a wine dinner experience for me. I was delighted with the authentic Sicilian dishes and wines. Most of the offerings are available on Bellino’s regular menu, including two of the wines by the glass. I look forward to dining again at Bellino. They are open for lunch and dinner Tuesday – Saturday. We watched dishes going out to the regular diners and were impressed with how beautiful and delicious they looked. Disclosure: As is common in the travel industry, the writer was provided with a meal for the purpose of review. While it has not influenced this review, the writer believes in full disclosure of all potential conflicts of interest.